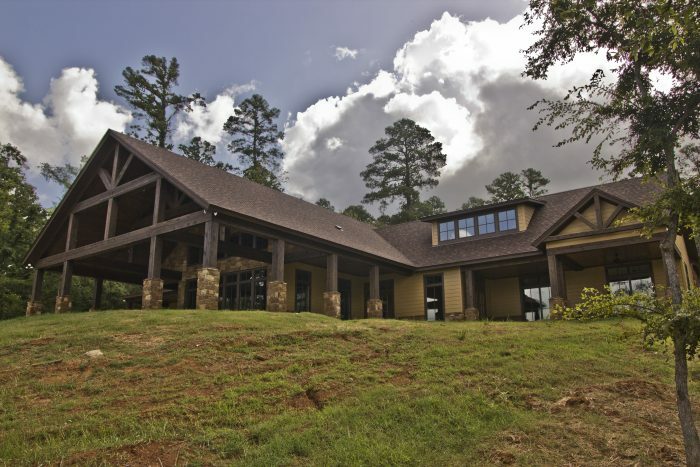 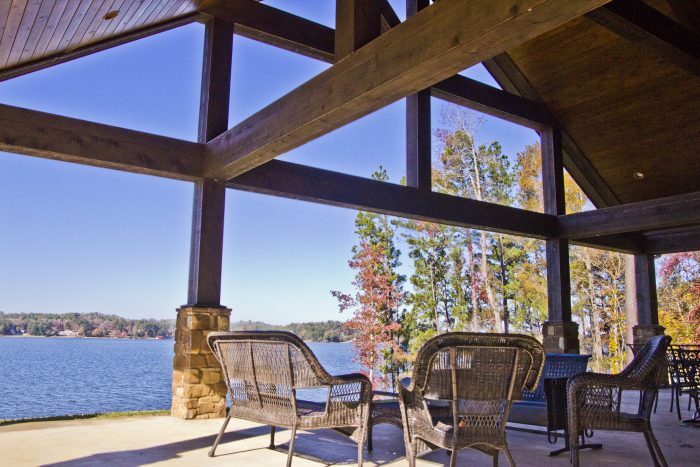 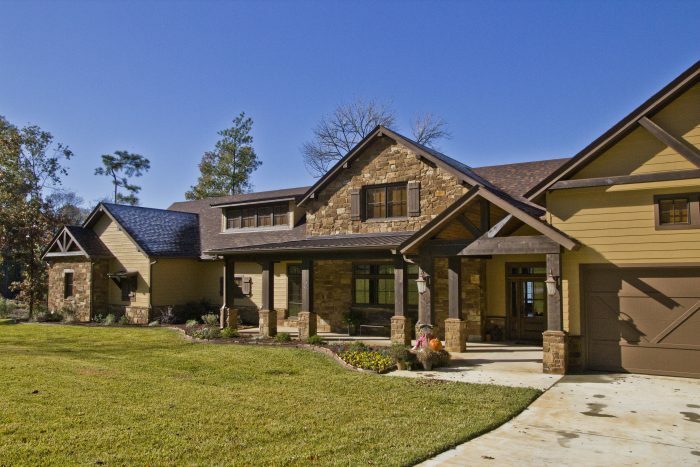 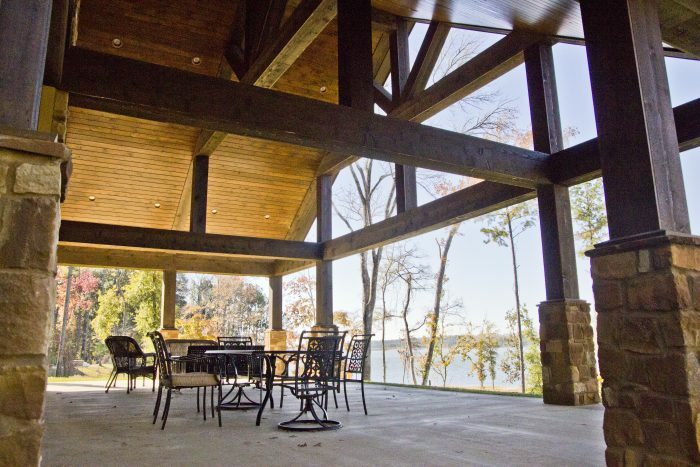 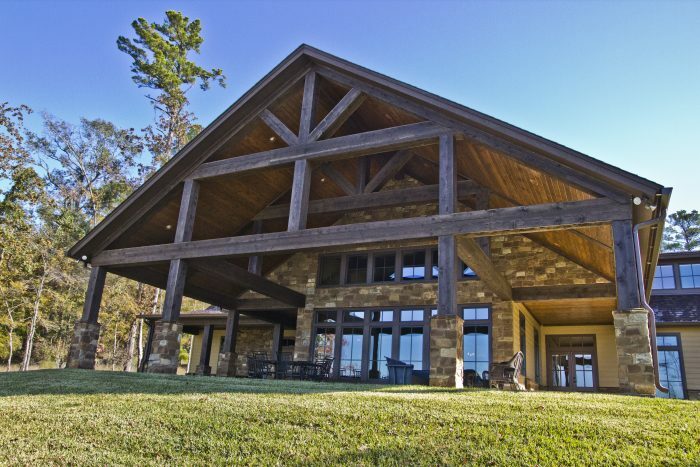 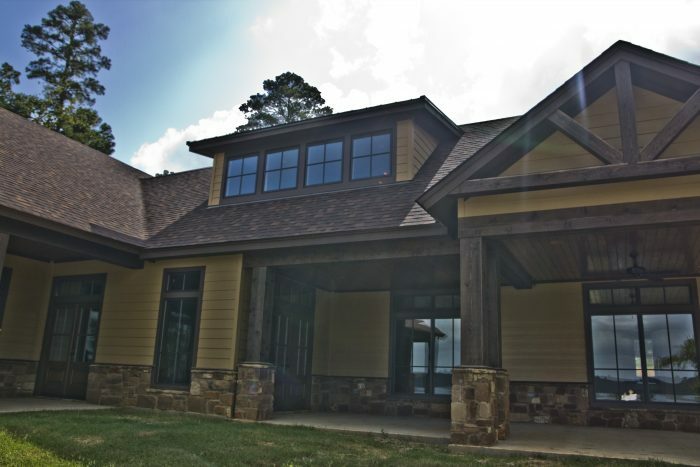 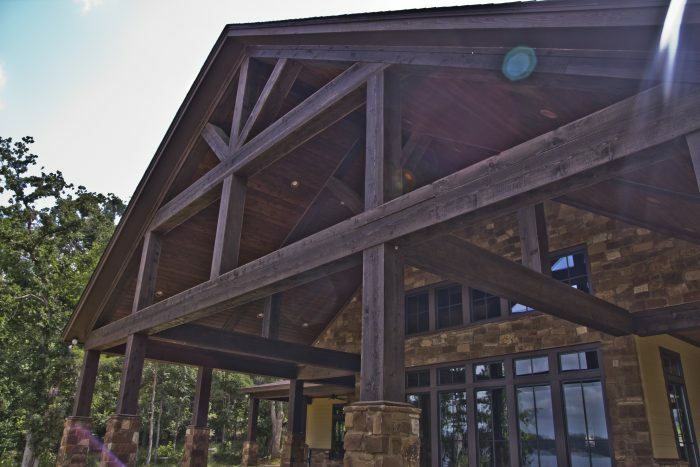 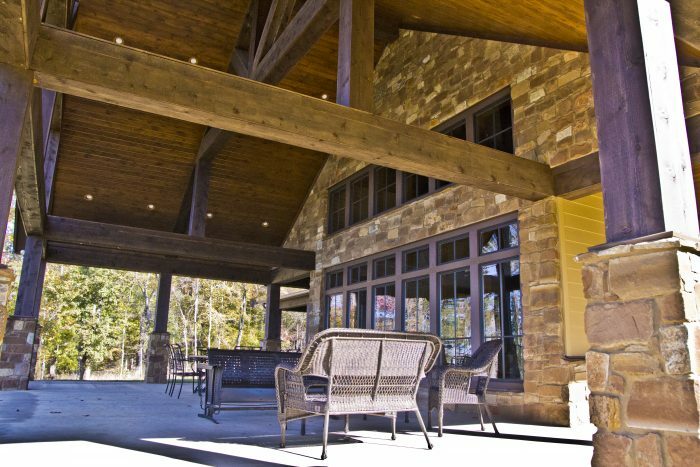 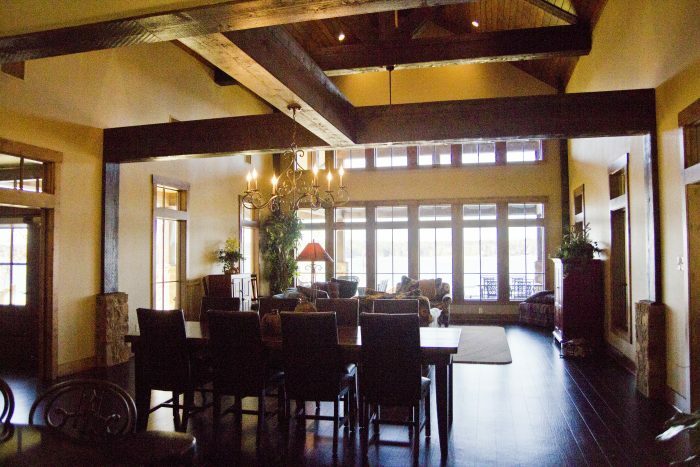 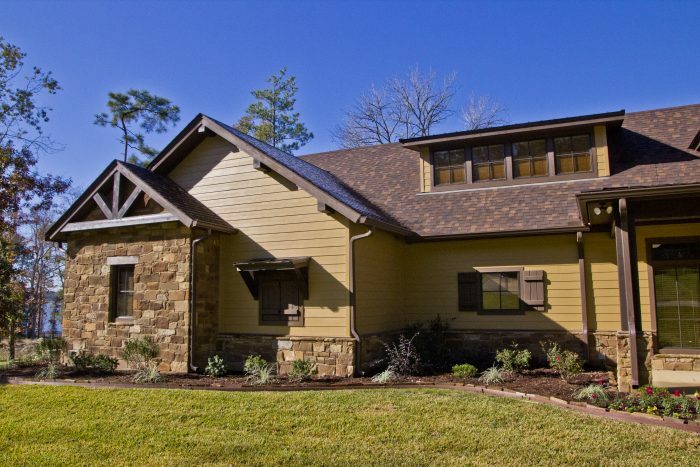 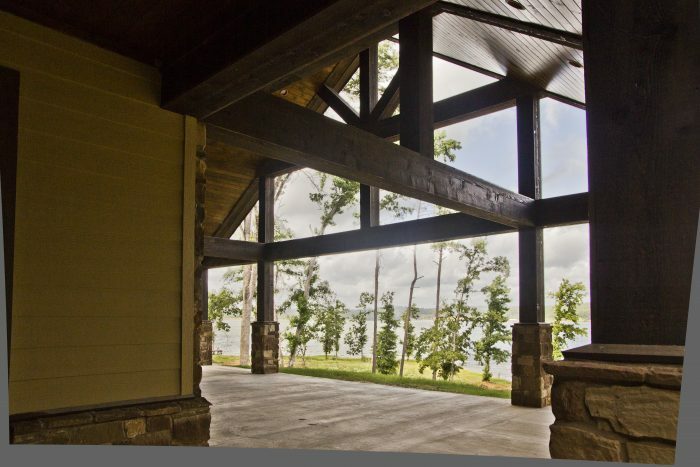 This lodge style lake house maximizes the view with a wall of floor-to-ceiling windows. 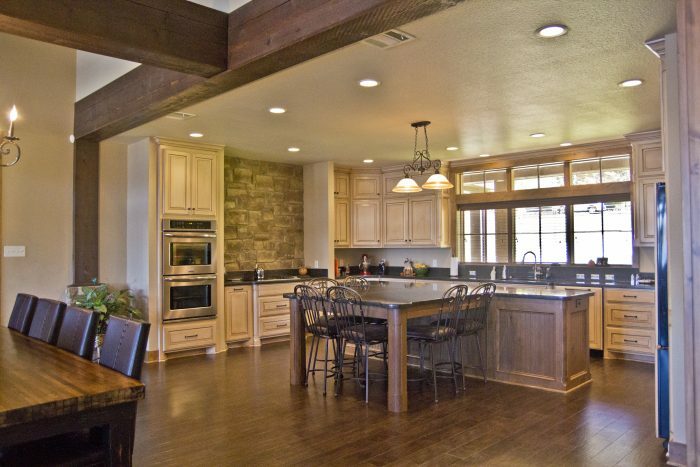 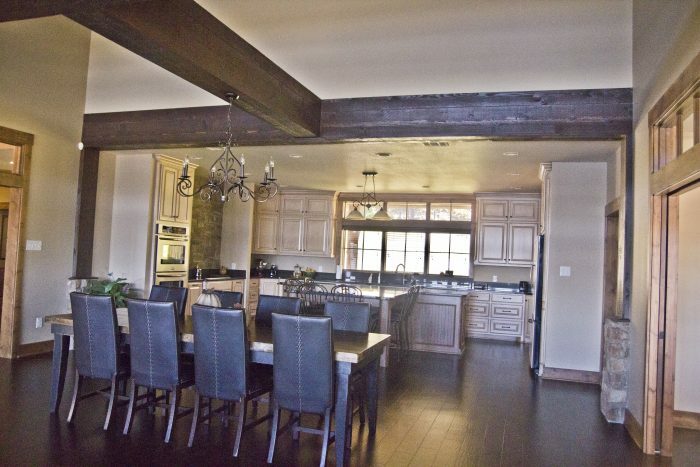 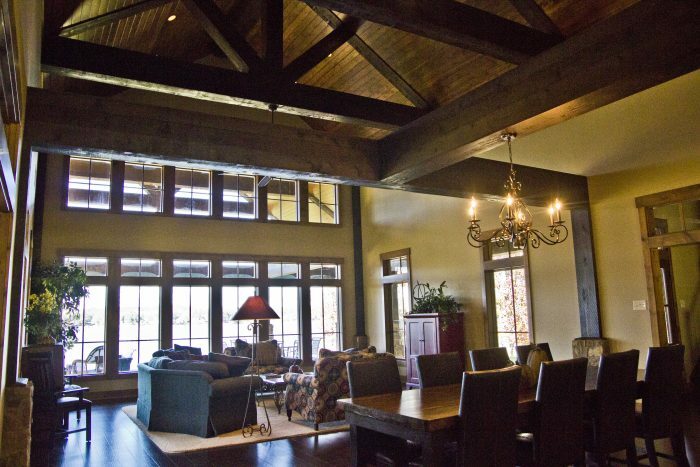 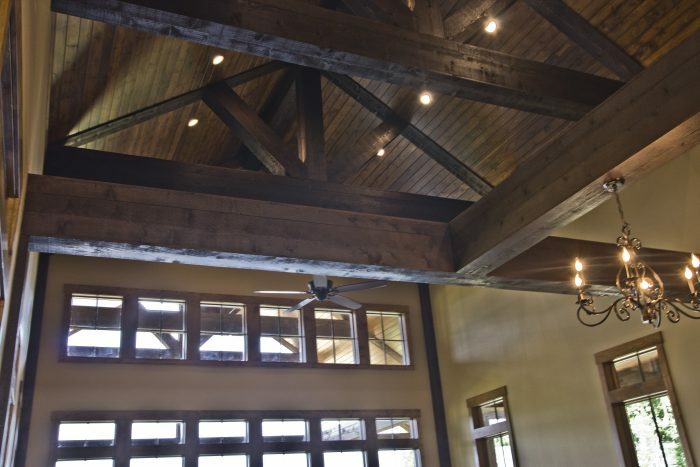 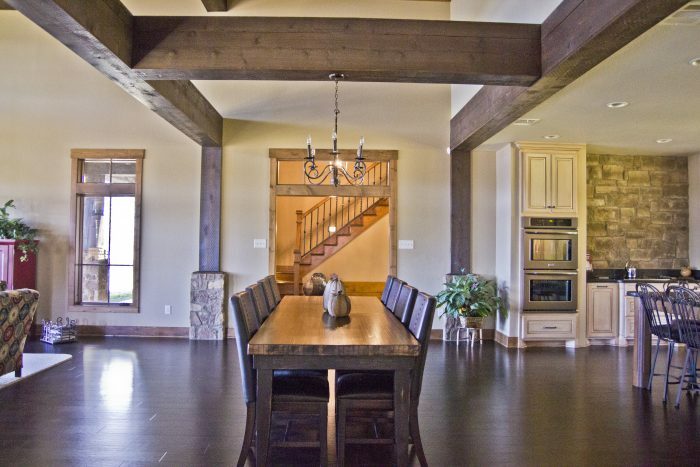 The dramatic ceilings of the living area and massive porch are supported by large wood beams and trusses that give the house its rustic feel. 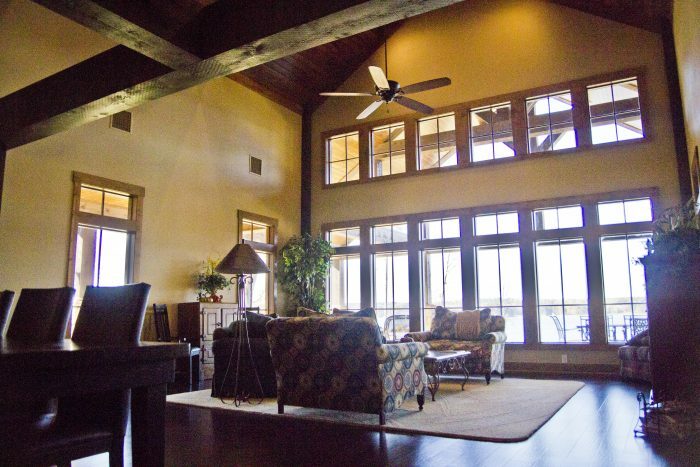 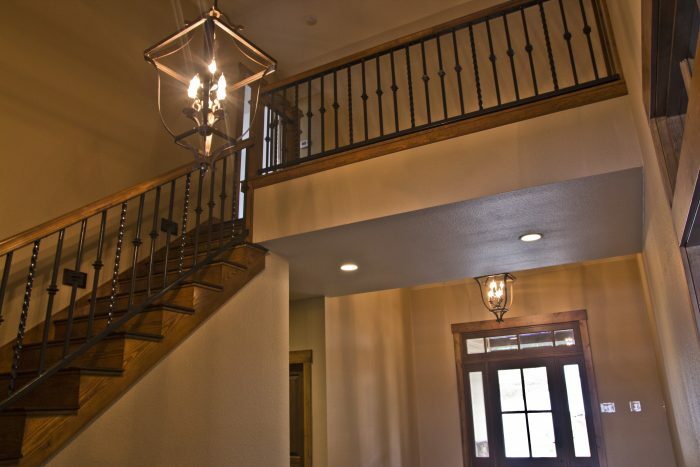 The spacious two-story home has plenty of room and atmosphere room for indoor and outdoor entertaining.